Choosing between Paleo On The Go and Magic Kitchen, you are faced with a rather difficult task. Both services have unique qualities that make them highly popular among hungry customers nationwide. However, that does not mean that the choice is impossible to make, as one of these services does have a bit more to offer. Our Paleo On The Go VS Magic Kitchen comparison below allows you to discover what it is that makes these two services different from each other, as well as which one constitutes a better choice. Paleo On The Go is a stress-free Paleo home dining solution and a premium source of healthy meals that can be enjoyed on such popular diets like keto and Whole30. Paleo On The Go provides its customers with 3 different menus, including AIP Menu, Keto Menu, and Strict 30 Menu. It also offers Meal Bundles. With Paleo On The Go, you can choose from more than 50 meal options. All meals on the Paleo On The Go menu are non-GMO, dairy-free, gluten-free, grain-free, soy-free, and certified Paleo. There are plenty of AIP-friendly and keto-friendly options, as well as meals suitable for 30-day reset diets like the Whole30. Paleo On The Go settles for nothing but the best ingredients. It uses grass-fed, grass-finished beef, pasture-raised pork, lamb, and elk, free-range poultry, natural, MSG-free, nitrate-free, sugar-free. gluten-free, reduced-sodium bacon, gluten-free, grain-free, nut-free cassava flour, and virgin red palm oil. Paleo On The Go meals are rich in nutrients and come in generous portions. They are generally high in protein and low in sugar and the average calorie count is around 600 calories. If you want to cancel your Paleo On The Go subscription, you must notify the company in advance. The company has a 28-day cancelation period for monthly recurring orders, so you must cancel your delivery within 48 hours of your previous order. For 15-day recurring orders, it has a 12-day cancelation period, meaning you must also cancel within 48 hours of your previous order. You can cancel your subscription only after your second order. If you are unsatisfied with your delivery from Paleo On The Go, you must notify the company within 7 days of receiving your order and it may provide you with credits or a refund. I enjoy eating paleo cause I believe that a man shouldn’t eat anything that he can’t procure himself. All meals that I’ve tried are delicious and very creative, only thing I’m worried about is the price of individual meals. Sometimes it’s just too much and I keep repeating some meals to stay on the budget. Hope it doesn’t get boring this way. Paleo On The Go is a perfect choice for getting your health and body back in shape. Quality ingredients, no pesticides and additives, I’m finally certain that I’m not eating junk. I also applaud them for making the meals taste this great without using any seasonings. Too expensive for my taste. 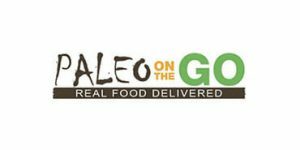 Paleo On The Go is a great choice if you are looking for a meal delivery that specializes in the Paleo or AIP diets. With its certified Paleo and gluten-free kitchen, Paleo On The Go brings you the freshest and tastiest meat and organic fruits and vegetables in the form of gourmet meals suitable for the Paleo, keto, AIP, and other healthy diets.